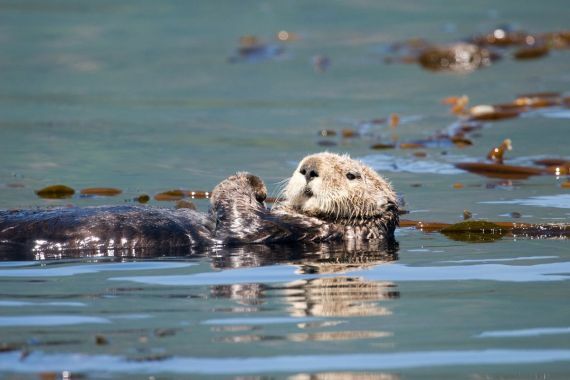 Whether drawn to Vancouver Island whale watching by kayak, sea otter viewing, sheltered island archipelagos, picturesque shell and sand beaches or wild west coast kayaking adventures, the Kyuquot Sound area offers it all! 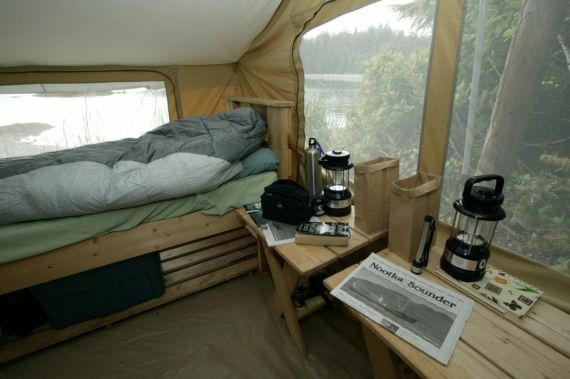 This is Vancouver Island adventure travel at its best. Thank you for a fantastic week at Shangri-la by the sea! It was better than we dreamed of -- the staff, the kayaking, the hiking, the scenery, the food – everything was perfection. Hope to come back with more friends. The name "Kyuquot" Sound is easily confused with "Clayoquot" Sound - but is a very different destination perched on the outer edge of Vancouver Island, Canada. West Coast Expeditions are the sea kayaking and marine ecotourism specialists in this remote wilderness area that showcases the best of what kayaking on Vancouver Island offers - we know, we've paddled or boated almost everywhere else on the island and this is our chosen place! There are island clusters like the Broken Group in Barkley Sound, expansive beaches like in the Ucluelet, Tofino & Clayoquot Sound areas, sunshine and interesting geology like the Gulf Islands, and sometimes concentrated humpback whale activity that rivals many locations, except for Johnstone Strait which is the north island hub for whale activity. So, if interested in paddling with sea otters on the outer coast, potentially kayaking with whales, meandering in sheltered coves and estuaries, or exploring life-filled beaches and shorelines, you will find your own sea kayaking paradise in Kyuquot - a little known place on northwestern Vancouver Island. 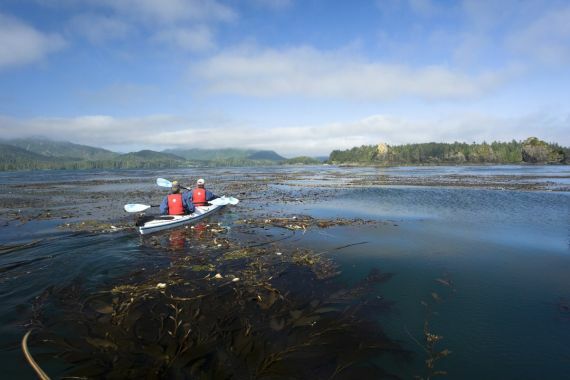 Our Base Camp Kayaking tours connect you with the diverse marine biology and rich cultural story of the Kyuquot Sound area, home of the Kyuquot-Checleset First Nations people, the northernmost of the Nuu-Cha-Nulth people whose home is the rugged west coast of Vancouver Island. Our Expedition Kayaking trips introduce the complex ecology and ideal sea kayaking setting of Checleset Bay, the Bunsby Islands, and the Muquin/Brooks Peninsula - all protected areas in British Columbia for their distinct features, beauty, and representative qualities of Vancouver Island ecosystems. Though remote (which means fewer people!) 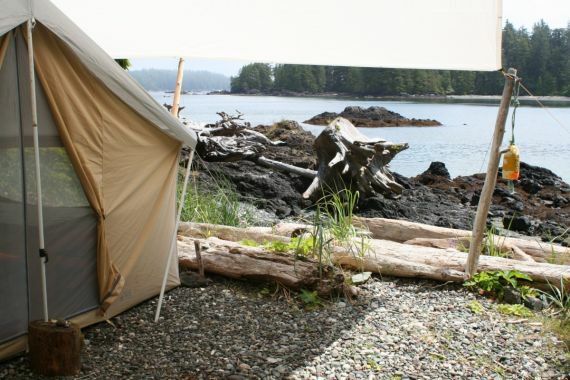 our west coast kayaking tours have Wilderness Retreat camping comforts and activity options suitable for a family sea kayaking vacation with novice and experienced paddlers. Our unique set-up, location, and experience make it possible to share the "best of the west" in ways appropriate for a variety of kayaking skills and interests. This isn't a place for novice kayakers to come unguided - the ocean will spank you! Don't be caught with your pants down. West Coast Expeditions' professionally guided sea kayaking vacations reveal the best of Vancouver Island kayaking & adventure travel in refreshing ways. All of you have such depth of knowledge about this beautiful environment and demonstrate your passion for it by sharing with your guests. The kayaking was exhilarating for a first-timer: the thrill of riding the swells; the mystery of paddling among fog-shrouded islands; the acquiring of new skills and exercising of old muscles; encountering the animals of the sea and seashore...And the facilities of the camp were perfect, providing a level of comfort beyond any outdoor experience I have ever had ...This is an extraordinary place to spend a quiet week with good friends and good company. Thank you so much for all you give.